Afgelopen augustus heeft Roel van ’t Veer afscheid genomen van de kunststof leidingindustrie en is hij met een welverdiend pensioen gegaan. Roger Loop heeft een woord van dank geschreven voor het afscheid van deze “Manus van alles”. Afgelopen augustus heeft Roel van ’t Veer afscheid genomen van de kunststof leidingindustrie en is hij met een welverdiend pensioen gegaan. Deze “Manus van alles” (ook wel de Jack of all trades genoemd) is direct na zijn studie in Groningen in 1973 werkzaam geworden en gebleven in de branche. Daarnaast is Roel vanaf het begin af aan betrokken geweest bij Teppfa en heeft hier diverse management functies vervuld tot eind April, toen hij de rol van Voluntary Commitment Coordinator heeft neergelegd. Als dank voor zijn inspanningen op zowel nationaal als internationaal niveau, waar ook BureauLeiding ruim van heeft geprofiteerd, schreef Roger Loop (Directeur van BureauLeiding) een woord van dank in het Engels. Ever heard of the expression “been there, done that”? If there is one man in the plastic pipes & fittings industry in Europe these words can apply to, it’s Roel van ‘t Veer. And he mastered “all trades”. Getting involved with Teppfa right from the start in 1992, he became director of the association from 2002 to 2007. After that, he remained an important part of Teppfa as voluntary commitment coordinator, until last April when he stepped down from this role. 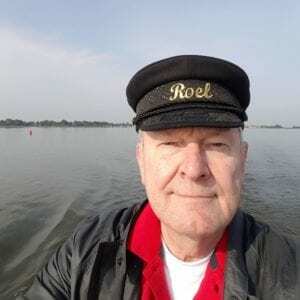 After graduating from Groningen University with a Master in Business Administration Roel van ‘t Veer joined Wavin in 1973 as financial controller, and from then on, with the exception of 3 years, he dedicated his whole career to the plastic pipes & fittings industry. Without going into too much detail, it is important to give an overview of Roel’s career to understand the impact he has had on the industry. Until he became director of Teppfa in 2002, his career within Wavin allowed him to get experience with almost all aspects of the plastic pipes & fittings industry, first as R&D department manager, then taking a side step, he moved to the membrane filtration business, he then became country manager Indonesia (in the early eighties), area manager Far East and eventually, general manager Saudi Arabia. After that, he left the pipe business for a short period of time to join the (then) Wavin PVC packaging manufacturing in Germany. When the business was divested in 1990, he returned to the Netherlands and Wavin and became environment & recycling coordinator. In his latter role, his main responsibility was “to prevent PVC from being banned”. In those days this meant setting up systems of collection, sorting and recycling of PVC pipe waste, and putting pressure on resin manufacturers to reduce waste/emissions. What became evident at that time is that this couldn’t be achieved by one company alone: to succeed, it meant cooperating with competitors and the various partners within the supply chain. In those days, Teppfa had just been established (in 1991), with CEST (the Certification and Standardisation committee) as their main activity. Together with other colleagues from the industry Roel convinced the Teppfa members that there was a need to work together on HSE issues and this led to the creation of the HSE committee. One of the early outcomes from this cooperation at European level was the development of PVC 3-layer pipes, which enabled the use of recyclate without the risk of legacy substances leaching into the environment. Roel considers himself fortunate to have had such a long and interesting career in the plastic pipes & fittings industry. He has always taken great pleasure in sharing much of his vast experience and knowledge, and finishing his career at Teppfa has allowed him to just do that. It is now time to say farewell and Roel is calling on the industry to focus on the 3 key ingredients that are essential to success: trust, cooperation and professionalism. The executive committee and all members present at the Teppfa Forum dinner on 10th April 2018 in Brussels, thanked Roel for his invaluable contribution to the European plastic pipes & fittings industry and wished him well for the future. Roel and his wife Marinelle, who stood by his side during his whole career, are now enjoying a well-deserved retirement in a small rural village in the Netherlands.